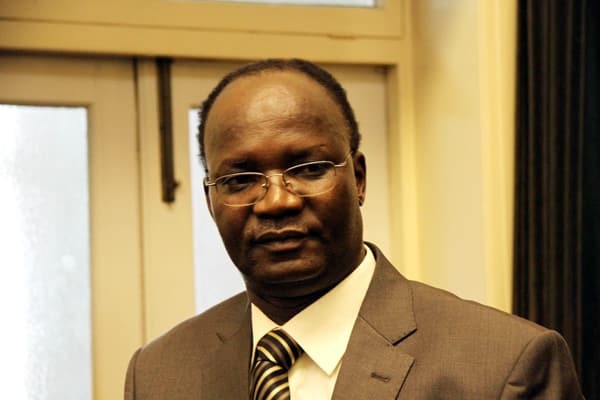 Zimbabwe Economic Freedom Fighters (EFF) has torn into government for failing to arrest former cabinet minister, Professor Jonathan Moyo, fingered in the Zimbabwe Manpower Development (ZIMDEF) corruption saga that dominated headlines prior to the November 2017 military coup. According to the EFF Commander in Chief, Innocent Ndibali, charges against Professor Jonathan Moyo have not prioritized despite overwhelming evidence brought by the Zimbabwe Anti-Corruption Commission (ZACC). “As EFF Zimbabwe we are worried that corruption charges leveled against former Minister Prof Jonathan Moyo are not taken seriously. We are calling on the ZRP, ZACC, the Special Anti-Corruption Unit set by the president to prioritize the charges leveled against Moyo. “We are shocked that we only thought that Prof Moyo siphoned only $400 000 but recently reports suggest that he looted more than $3 million dollars,” said Ndibali. Ndibali added the EFF will not stop speaking out till the issue is dealt with. “We also need Moyo’s crew which include former deputy minister Godfrey Gandawa, Chief Executive Officer Fredrick Mandizvidza, Principal Finance Director and Administrator Nicholas Mapute; Human Resources Manager Ignatius Kanjengo; Chief Accountant Ropafadzo Mukamba and Senior Revenue Manager, James Gombarago to account. “Let us all recall that Zimdef funds are meant to support students at tertiary institutions. “We know Gandawa bought personal furniture using Zimdef funds, while Moyo confirmed buying bicycles for his then Tsholotsho North constituency. “The Zanu-PF youth league then led by Kudzanai Chipanga was also a big beneficiary of Zimdef funds. We are also told that auditors unearthed questionable procurement of some properties by Zimdef.” He added. It is alleged that the parastatal purchased Pandhari Lodge for $2, 2 million after outbidding other potential buyers, and also bought another property along Tongogara Street in Harare for over $2 million. The auditors were also reportedly interested in knowing how Zimdef monies were spent on the Science, Technology, Engineering and Mathematics (STEM) programme. “These monies we need to recover without fail,” emphasized Ndibali.